Home NEWS A reality or an illusion? A reality or an illusion? Nothing is what it seems to be. Or is it? 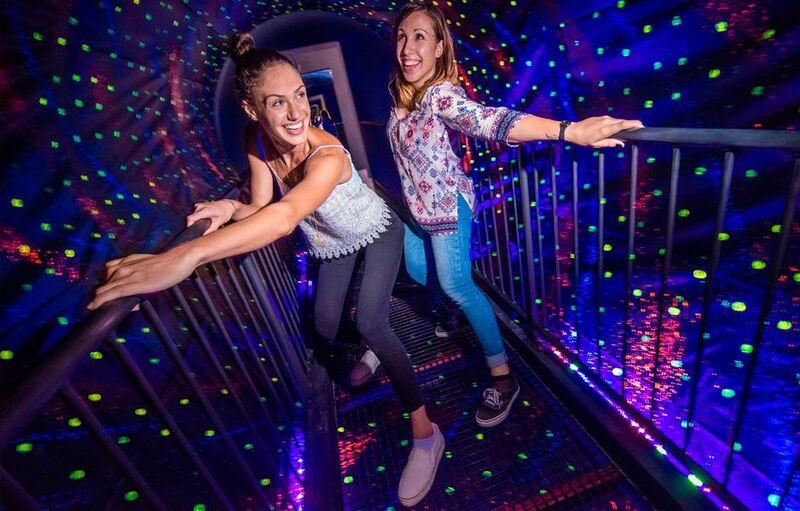 Find out for yourself as you visit Ljubljana’s first ever Museum of Illusions that teases the brains of visitors and challenges their way of perception with almost 40 optical illusions and holograms. Equipped with Slovenian, English, German, and Italian captions, the museum can be a great addition to your next incentive in Ljubljana. The museum that just opened its doors this week is full of special rooms including the Infinity Disco Room and a Vortex Tunnel. Some classical illusions, like the ones found in psychology textbooks, are also showcased, along with holograms, or “horrorgrams” as they are called, giving the illusion of a real-life werewolf and Count Dracula rising from his coffin. “The museum is meant to be fun, educational and, most of all, different from other museums where we can observe exhibitions only from afar or in a group,” said Urška Humar from the Museum of Illusions. The museum also features a Smart Playroom, filled with brainteasing games and puzzles, which can also be bought at the museum’s Smart Shop. It is located at Kongres square and will be open to visitors every day between 9 AM and 10 PM.